Kindness in the aftermath of Sandy. If I had the option of a longer title without it looking wonky, this post would be "100 Awesome Things - Doing The Right Thing When No One Would Know Differently." As you can see, that is a bit long. There are several ways we can do the right thing. There are the big ways, like if a friend leaves their car running you don't steal it. There are medium ways of doing the right thing, those situations where you are shamed into making the right call. As an example and a little history of me, my first job was, like so many other Northeast Ohio teens, at Marc's. I worked at the one at Southland, which enraged my parents. When they poked at me to get a job, they expected I would stay in Brunswick. At the time, it never occurred to me to tell them I went to Marc's in part because it was near Sears. You see, my grandma worked at Sears and I used to visit with her most days before work. I went in one day and my grandma, because of her seniority, was working in tools. This gentleman, and I use the term incredibly loosely, was yelling and cursing at her because she wasn't moving fast enough. When grandma went in the back to check on a wrench for him, I walked up to him and explained that he was rude and needed to apologize. The man called me a few inappropriate names and I reiterated his need for apologizing, especially since it was *my* grandma. Fortunately for me, there were half a dozen men around the department that agreed with my suggestion. I hid behind some hammers and waited for his apology when my grandma returned. The man apologized and did the right thing. 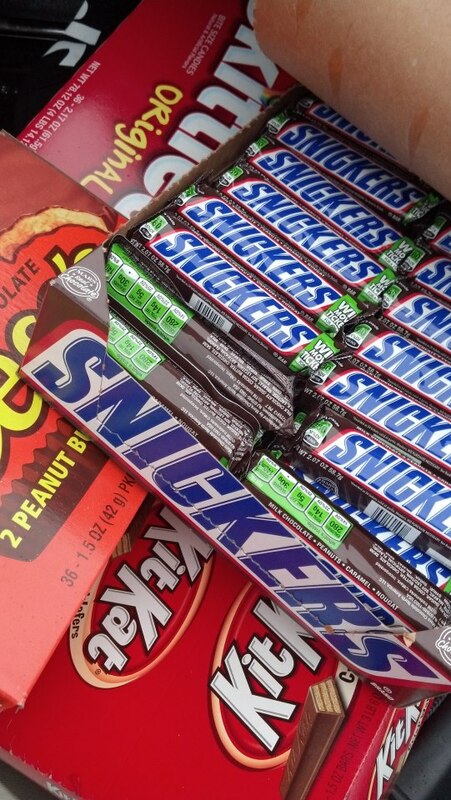 He was publicly shamed, but he ultimately made the right choice. The most impressive way of doing the right thing is when no one is looking. When there is no real choice. You could do something or nothing and no one would be the wiser. No one is going to call you out for not doing something. 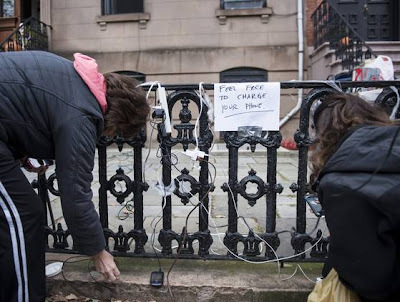 In the wake of Superstorm Sandy, photos popped up online of people with power and dragging power strips from their house to the street for strangers to use. I don't know that I would even be thoughtful enough to come up with an idea like that. I think we all make promises to ourselves that we will do our best to do the right thing, be more thoughtful of others or whatever it may be. There is a great new movement based in Cleveland called "Because I Said I Would." The organization was created to help people keep their promises, big and small. So often, we make promises to people with every intention at the time of keeping. But then the phone rings, or you have to answer a text or feed the cat or pee, and the promises fade away, unfulfilled. This group will send you ten cards, for free, to send to people to help you keep your word. You can request cards here, and start making the community you live in a little better. After you fill out your card, you can share it with their facebook community and show people you can keep your word. Some are painful, thoughtful and funny. 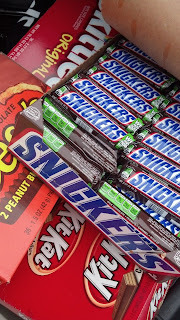 My favorite though has been from someone that made the same promise that each and every trick or treater made as a kid - he promised he would be the house that gave away full size candy bars for Halloween.